Granite was quarried on the northern slopes of this mountain. 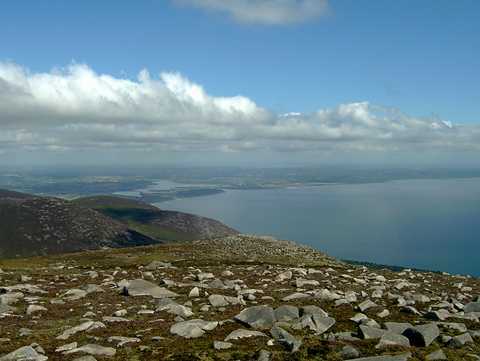 Mourne granite is typically grey and of high quality. Vast quantities used to be exported for construction. The streets and docks of Liverpool were built of Mourne granite. Chimney Rock Mountain is the 184th highest place in Ireland. There is something about Spence’s river valley not quite right: unsettling, unnerving. Something bigger than a sad story of a lost pilot ploughing into its East Stand – something age-old; a patient audience perhaps of this and a thousand other sad events.